The full range of hardware features on the board can help the user evaluate all peripherals (USB FS, USART, audio DAC, microphone ADC, dot-matrix LCD, IrDA, LDR, MicroSD card, HDMI CEC, ECG, pressure sensor, CAN, IR transmitter and receiver, EEPROM, touch slider, temperature sensor, etc.) and develop their own applications. Extension headers make it possible to easily connect a daughter board or wrapping board for a specific application. 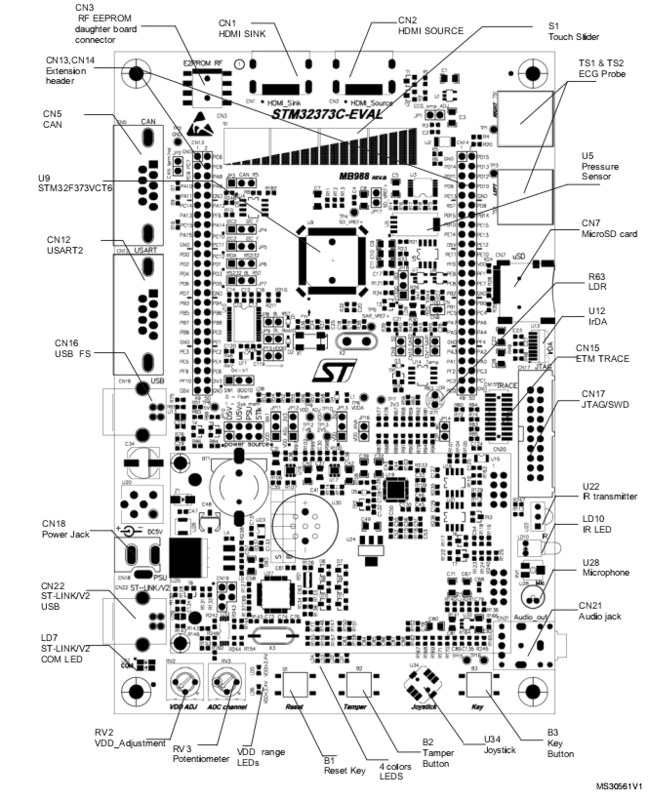 More information about the board can be found at the STM32373C-EVAL website . Applications for the stm32373c_eval board configuration can be built and flashed in the usual way (see Build an Application and Run an Application for more details). 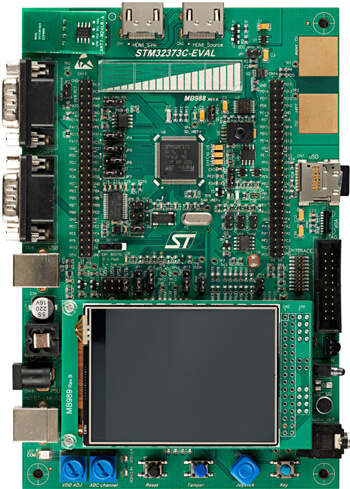 STM32373C-EVAL board includes an ST-LINK/V2-1 embedded debug tool interface. At power-on, the board is in firmware-upgrade mode (also called DFU for “Device Firmware Upgrade”), allowing the firmware to be updated through the USB. This interface is supported by the openocd version included in Zephyr SDK.